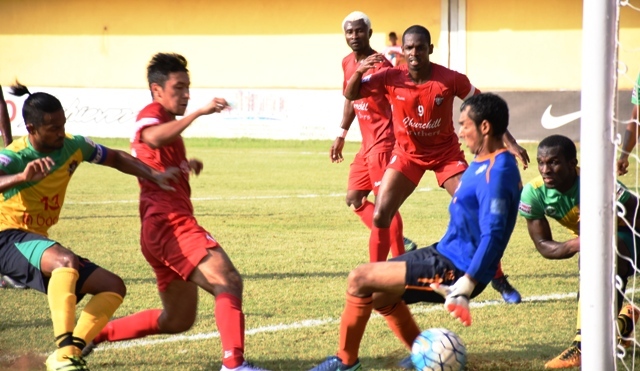 Churchill Brothers secured their safety in the league with a comprehensive 6-1 win against ten-man Chennai City FC in their I-League encounter at the Tilak Maidan, Vasco on Saturday. Four goals from Bektur Uulu (22', 82', 84', 90'+3') set the tone for a big win alongside goals from Ghanefo Kromah (66') and Brandon Fernandes (90') as the Red Machines managed to secure safety in the league purely on merit and with some style. Soosai Raj (54') pulled one back but the late upsurge of the Red Machines pummeled the debutants at the shore of the Arabian Sea. Man of the match Bektur also earned the distinction of having the highest tally of individual goals in a single match this season. The game was a slow burner with a majority of the first 15 minutes invested in midfield battles and no goalmouth action. However, Churchill midfielder Bektur broke the deadlock in the 22nd minute. The home side won a corner which was taken by Brandon and his teasing ball into the six-yard box was not cleared by the Chennai City defence. The ball eventually found its way to the Kyrgyzstan midfielder who simply passed it into the net. 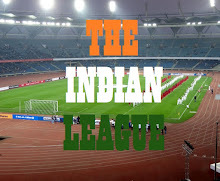 Subsequently, Chennai City had a few opportunities although they were largely half chances as Churchill held onto their slender 1-0 lead despite a nervy end to the half. However, Chennai City FC had a roaring start to the second half as they levelled scores in the 54th minute. The Churchill Brothers defence switched off collectively as Soosai Raj who was lurking outside the box curled an in-swinging shot with the outside of his boot into the top corner to make it 1-1. As soon as the momentum seemed to be shifting in favour of Chennai City FC, the visitors suffered a blow after they were reduced to ten men. Defender Anyichie Celestine got his second yellow card for handling the ball in the 60th minute. The defender had picked up his first yellow in the first half for a foul on Brandon Fernandes. Churchill capitalised on the numerical advantage and made it 2-1 in the 67th minute. A quick interchange of passes between Bektur and Brandon in the final third allowed Brandon to release Kromah down the left channel as the unmarked forward finished through the legs of Karanjit. It was 3-1 in the 81st minute when Brandon picked out Bektur in the middle with a low cross. Bektur made no mistake with his side-foot volley to score his second of the game. The midfielder completed his hat-trick in the 84th minute with a sliding finish as he got on the end of an Anthony De Souza. There were more goals in store as Brandon got on the scoresheet in the 90th minute with a curling effort before Bektur scored his fourth in injury time. This win confirms Churchill Brothers position in I-League next year as they are now on 20 points with 1 match to go.